You can check whether your file format is included in the columns or not. If your file format isn't included, you can submit it to us. Currently the program doesn't support importing the file that you download from some websites. You can use Free Online Video Converter to convert it and then import. 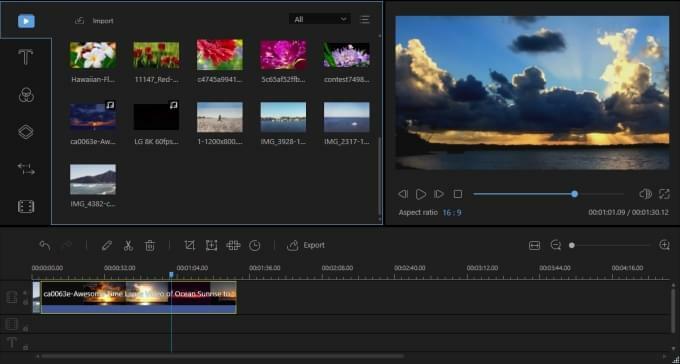 To increase the rendering speed and preview video instantly, the video quality is compressed during the editing process. However, you can keep the output file as high quality as you chose. Please check program version to see whether it is the latest one at first. If you have problem in the latest version, please upload file to Free Online Video Converter. You don't need to change format or do other settings, click "Convert" directly, then try to import the converted file again. If you still have problem, please submit it to us, we will solve your problem as soon as possible.